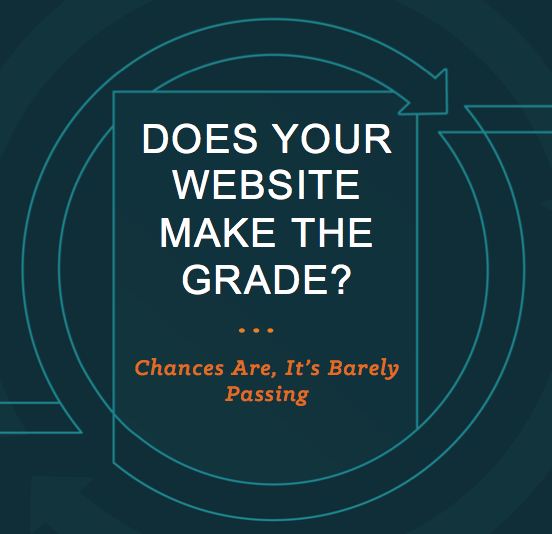 HubSpot Research: Does Your Website Make The Grade? Chances Are, It's Barely Passing. DOES YOUR WEBSITE MAKE THE GRADE? CHANCES ARE, IT'S BARELY PASSING. HubSpot Research analyzed the performance of over 26,000 websites to benchmark how websites are doing today. The results are ugly -- the average score websites receive is just 60 out of 100 points. You can download the free report by filling out the form on this page.